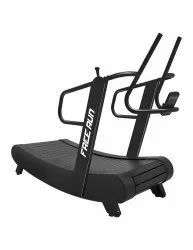 Our range of products include free run non motorized treadmill, mini exercise bike and drax non motorized treadmill. Display : distance ,speed ,time and calories. 2. 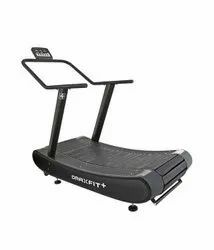 SLAT BELT DESIGN Unlike a conventional treadmill, it uses thick and strong caterpillar type slats. There is no running board under the belt, therefore there are no concerns for shock to the human body while running. The Mini Exercise Bike from Aidapt can help to improve circulation and muscle strength and is ideal for those keen to exercise from the comfort of their own homes. It can be used to exercise your legs from a seated position or lying down, or on a table of r arm exercises. 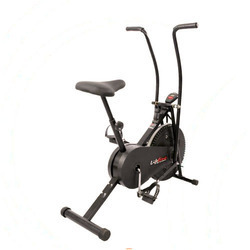 Looking for Cardio Gym Equipments ?